The Foxconn Technology Group manufacturing complex that President Donald Trump helps launch Thursday in Mount Pleasant will differ significantly, at least initially, from the original plans. The shift was first reported in May by Japan-based Nikkei Asian Review, in a story citing industry sources, and then by Milwaukee publication BizTimes last weekfollowing an interview with Foxconn executive Louis Woo. A Foxconn spokesman confirmed the BizTimes report. Smaller and less costly for Foxconn; different from the contracts with the state, to the benefit of Foxconn. The WEDC’s spokesman won’t question Foxconn’s downsizing even with billions of public money spent to support that Taiwanese company. Foxconn’s not an independent third party – it’s a publicly-subsidized foreign corporation building at Wisconsin taxpayers’ expense. Everyone on the state side of this project should be dismissed or voted from office. 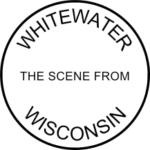 Among those who should go – if competency and integrity mean anything – would be Matt Moroney, the same longtime Walker operative that Whitewater’s 501(c)(6) business league trotted out as a guest speaker on the Foxconn project. Moroney’s presentation as dutifully reported (and ludicrously unquestioned) in the Daily Union shows that neither the organization that invited him nor the paper that reported on his invitation has even a thimbleful of economic or policymaking sense. See A Sham News Story on Foxconn and Foxconn as Alchemy: Magic Multipliers. Flacking Foxconn won’t bring a greater Whitewater, but instead only a lesser Wisconsin. Previously: 10 Key Articles About Foxconn, Foxconn as Alchemy: Magic Multipliers, Foxconn Destroys Single-Family Homes, Foxconn Devours Tens of Millions from State’s Road Repair Budget, The Man Behind the Foxconn Project, A Sham News Story on Foxconn, Another Pig at the Trough, Even Foxconn’s Projections Show a Vulnerable (Replaceable) Workforce, Foxconn in Wisconsin: Not So High Tech After All, Foxconn’s Ambition is Automation, While Appeasing the Politically Ambitious, and Foxconn’s Shabby Workplace Conditions. So: the State agreed to pay for 10 lbs. of hamburger and Foxconn was to deliver 10 lbs of hamburger. (It is very debatable that the 10 lbs of hamburger from Foxconn is worth what the State agreed to pay for it- maybe we’re giving up money that is worth 15-20 lbs., or more, of hamburger). Now- the State is telling us that we will be receiving 6 lbs. of hamburger, instead of the agreed-to 10 lbs. The State must adjust its payment downward- significantly. The ROI on this project is very suspect to begin with (20% of workforce coming from Illinois, average workers’ wages, robotics-usage, waste water/ environmental issues, etc…)… and now?!? The latest is that a Foxconn executive is on record saying something to the effect, “WI residents should be more thankful for what we are going to do for them..” #boondoggle. There it is in your analogy – the heart of the matter. If the costs were slight, then one might not be concerned. Yet, the costs are anything but slight, and our state has truly pressing needs too long neglected. The glass excuse is an interesting issue. The glass panels for Gen 10.5 LCD’s are very large, about 11’x9.5′ and extra thin. It’s not like window glass at all. They don’t travel all that well. There is no way that Foxconn didn’t know where their glass was coming from, so it certainly seems like they threw an “Oh, by the way…We need you to give us 2/3 of the money we need to build a glass factory in Wisco-World” move at Walker. That WEDC didn’t ask the right questions seems entirely plausible, given WEDC’s legendary incompetence. This Baby Ruth just floated to the top of Walker’s hot tub and he is now being very quiet about how did such a smart move with Foxconn. You’ve been clear, and right, about the direction of this project (and its technical limitations) from the beginning. It’s like watching an auto accident unfold slowly before one’s eyes, where someone else has already explained the regrettable trajectories.